Sixteen-year-old and not-so-openly gay Simon Spier prefers to save his drama for the school musical. But when an email falls into the wrong hands, his secret is at risk of being thrust into the spotlight. Now Simon is actually being blackmailed: if he doesn't play wingman for class clown Martin, his sexual identity will become everyone’s business. Worse, the privacy of Blue, the pen name of the boy he’s been emailing, will be compromised. Hi everyone! 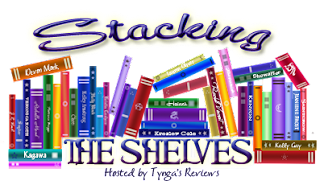 Welcome to Top Ten Tuesday, which is hosted over at The Broke and The Bookish. This week's topic is Top Ten Books That Would Be On My Syllabus If I Taught YA Contemporary 101. I only read this book recently, but already it has left such an impact on me. This was a book that really opened my eyes up to YA Contemporary. This book has such a relatable main character and the story itself is just great. This is the book that I can relate to the most over anything I have ever read. I remember this book also leaving a huge impact on me. This is such a popular YA contemporary book that I think everyone should give it a chance. Hi everyone! Welcome to Top Ten Tuesday, which is hosted over at The Broke and The Bookish. This week's topic is Top Ten Of My Auto-buy Authors. I own most of Maggie's books already, but I know that I will always buy her books when they come out. For this, I'm talking more specifically if she ever writes any more books in the world of Harry Potter. The Night Circus is one of my favourite books ever, so if Erin ever decides to write more I will definitely pick it up. After reading the To All the Boys I've Loved Before duology (review coming soon), I knew that I had fallen in love with Jenny's writing style and I will keep on reading her books. I've loved all of Cassandra's books that I've read so far, which is quite a lot, and I will continue to buy them. Hi everyone! Welcome to Top Ten Tuesday, which is hosted over at The Broke and The Bookish. This week's topic is Top Ten Authors I've Read The Most Books From. This may seem like a lot, but this is simply because I own and have read one of Matsuri's manga series completely. This is unsurprising seeing as Maggie is one of my all-time favourite authors, and I don't give someone that title without reading a lot of their books first. This also shouldn't come as a shock to anyone that knows me. I've read all of Richelle's Vampire Academy series, and I have also read the first book in the spin-off series, Bloodlines. I am in the middle of both of Cassandra's current series, and I would like to finish both of them soon! Right now, I am in the middle of Rachel's Morganville Vampires series. All I knew about this book going in to it was that the main character was blind. That was literally it, but I enjoyed it that way. Hi everyone! 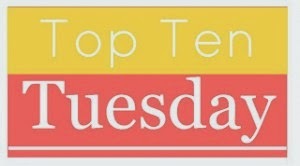 Welcome to Top Ten Tuesday, which is hosted over at The Broke and The Bookish. This week's topic is Top Ten Fairytale Retellings I've Read/Want To Read. This was the first fairytale retelling I ever remember reading, and I loved it so much! This is a companion novel to Sisters Red, and it was just as good. With this one in particular, I didn't know the original story that well, but this retelling interested me in it. I had no idea that this book existed before I picked it up a couple of years ago, and I only read it this year, but it was really good. I really enjoyed this Beauty and the Beast retelling, and especially how it is told from the "beast's" perspective. This is a very popular YA book, and probably one of the most popular fairytale retellings.